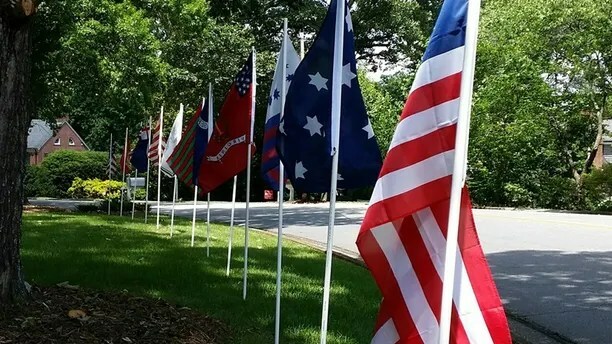 Patriotism runs high in one small southern Virginia town where one homeowner’s Fourth of July includes a display of flags from the Revolutionary War period. There are 13 historic flags flying in Eric Monday’s yard in Martinsville–one for each of the original colonies and the modern-day Old Glory, the Martinsville Bulletin reported Tuesday. 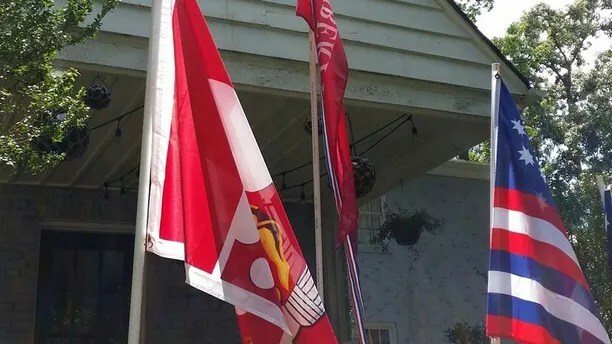 Out of all the flags in his yard, Monday’s favorite is the George Rogers Clark flag. Monday is a member of the Sons of the American Revolution who traces his lineage back to Capt. Leonard Helms who fought under George Rogers Clark in the northwestern frontier, according to the paper. Monday takes down all the flags after the Fourth but not the American flag which he displays year-round. Click here for more from the Martinsville Bulletin.